If you were hoping to get yourself a 64GB Xiaomi Mi Note, you may now do so from Celcom from as low as RM488. 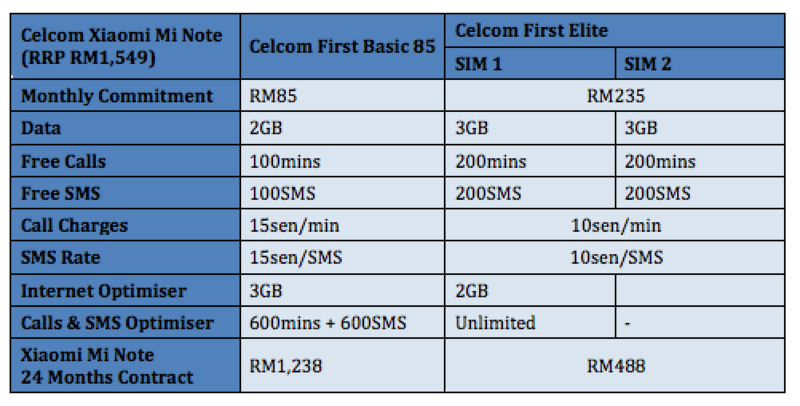 The telco is offering the device with its Celcom First postpaid plans. 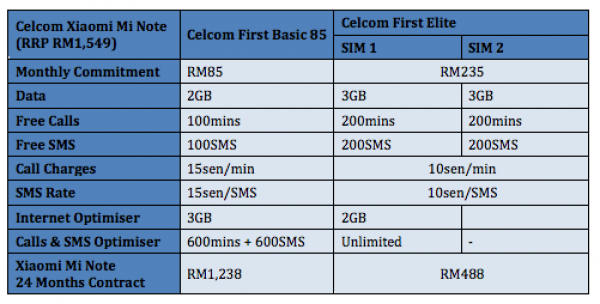 As always, Celcom is offering the Xiaomi Mi Note when you sign up for a 24 months contract with one of its First postpaid plans – Celcom First Elite or Celcom First Basic 85. The Xiaomi Mi Note was first unveiled by the Chinese company earlier this year, and arrived in Malaysia just last month. It was previously only available for sale on Xiaomi Malaysia’s website, and it looks like telcos are finally offering the device. Check out our hands on post for an in depth look at the Xiaomi Mi Note, or visit Celcom now for more information about its bundle.